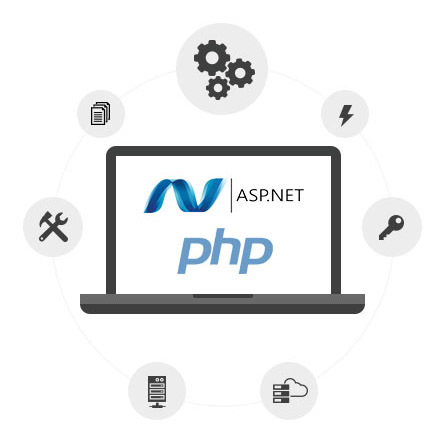 ASP.Net: Simple even when building large and complicated applications, ASP.Net provides a powerful development model for secure web applications. PHP: Support for Apache, MySQL and more; PHP is quick and easy to use to create advanced applications. SaaS: Cloud services can be used to create Software as a Service. Eliminates dependencies many traditional projects suffer from. Your final product will be free from error and exceed your expectations after our extensive testing process. Our experienced team is constantly training and learning more to better provide solutions – we partake in major forums and user communities to follow the latest developments. Use of both ASP.Net and PHP allows for access to use number of powerful community-made scripts. We provide the support your SaaS application needs for its entire lifetime, extending and expanding your application as necessary. Cloud-based applications can scale with your business; get started with only a small upfront investment then expand as necessary. Do you need a new web application? Speak to our team today about how we can help.